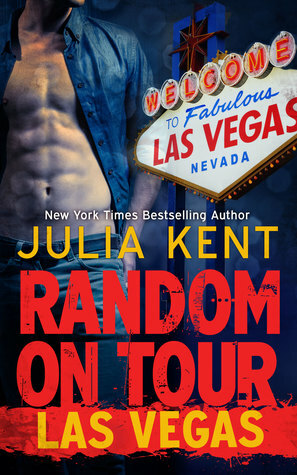 Now, I am always especially interested in finding a book on tour that highlights the town I am currently living in: Las Vegas. 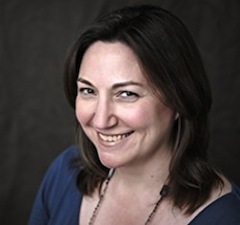 So of course, I have to tell you about the ninth installment of the Random series. 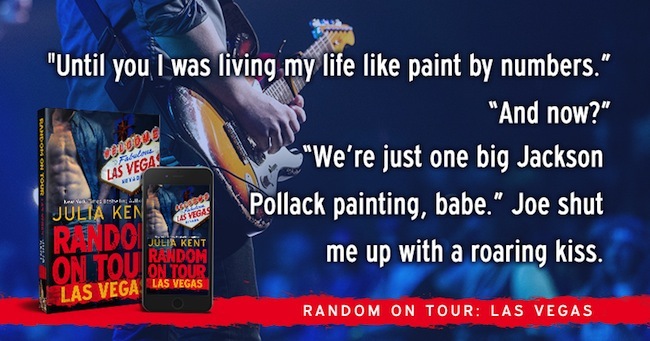 Random on Tour Las Vegas by Julia Kent is a romantic comedy, that is fast-paced and not your typical romance. Are you ready for a wild ride? Enter the giveaway at the end of the post for your chance to win 25 Dollar Amazon or B & N gift card.